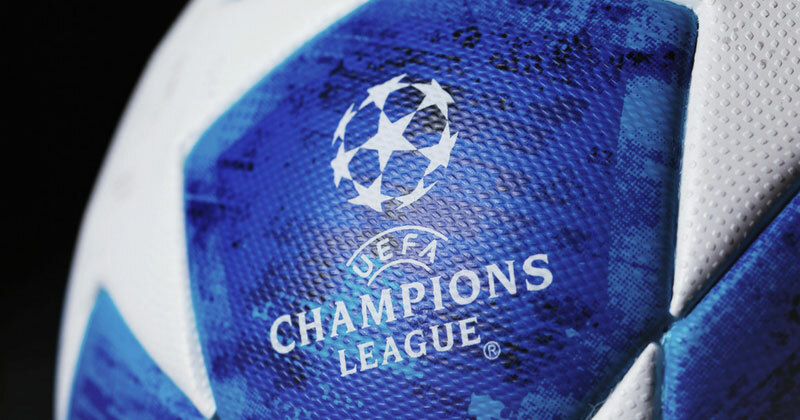 The iconic Champions League song is known all over the world, blaring out of football stadiums and television screens as Europe’s elite go toe-to-toe yet again. At times, those opening melodic notes are enough to make the hair stand on end, ensuring we’re all adequately covered in goosebumps by the time the operatic chorus begins. Yep, the Champions League is almost back- and it’s fair to say we’re just a little bit giddy about it. Even without Cristiano Ronaldo, it’s always dangerous to write off Real Madrid, but we can’t help but feel his departure has blown the competition wide open. His new club, Juventus, will now very much fancy their chances, while the usual suspects of Barcelona and Bayern Munich are bound to be in contention. 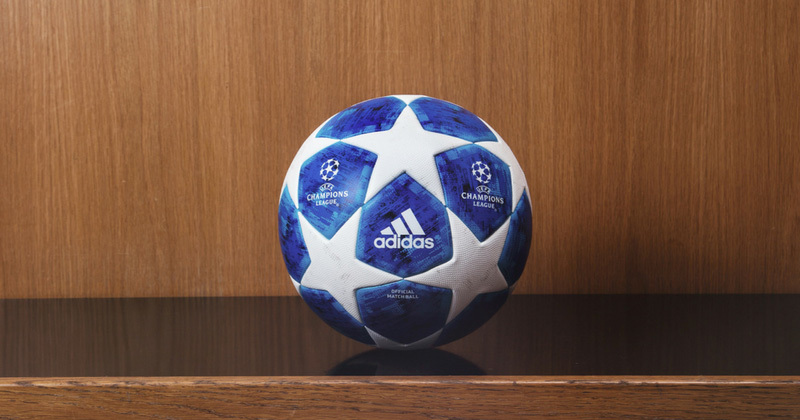 Well, adidas have gone ahead and taken that giddiness to whole new levels, because they’ve just unleashed their stunning 2018/19 Champions League match ball. And it’s not at all what you were expecting. The new UCL ball completely inverts the traditional colourway. Image by adidas. The new match ball acts as a complete reversal of previous designs, incorporating a dazzling blue colourway and crisp white star panels. A graphic print runs throughout the blue sections of the ball, which is designed to represent the blur of constant motion and pay homage to the fast-paced action of the competition. Without question, this is a far-cry from the match balls we’ve grown accustomed to seeing down the years. 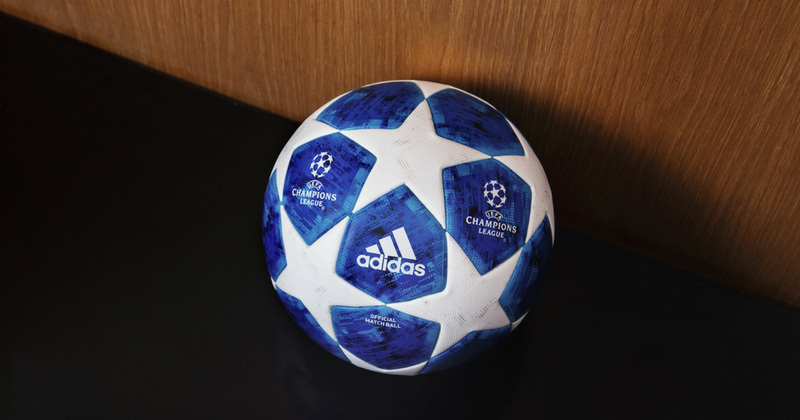 Every other Champions League ball has been predominantly white, with the star panels being brought to life by an injection of colour. However, this time those famous stars are highlighted by glossy shades of white, which contrast beautifully with the matte-finished blue. The result is a set of stars which seem to pop out of the football, offering a design which is more than worthy of gracing Europe’s biggest grounds. The logos and star panels stand out beautifully on the new design. Image by adidas. Of course, the new ball comes complete with the latest performance technology, designed to enhance the players’ touch and grip on the pitch. It’s a huge break from the norm, and we’ve got to say we absolutely love this new design. Released alongside a range of stunning adidas football kits, it’s safe to say it’s been one hell of a summer for the Three Stripes so far. The 2018/19 Champions League ball is available to purchase already, and you can compare prices at FOOTY.COM to snag the best deal on the internet!